As evidenced by WBC heavyweight champion Deontay Wilder’s electric 10th round knockout over tough Cuban challenger Luis Ortiz this past weekend, the heavyweight division is again on fire. Wilder stopped Ortiz after overcoming some rocky moments in the contest, and the talk in the boxing world has turned to a matchup between him and IBF/WBA champion Anthony Joshua. And while Wilder vs. Joshua is very intriguing, and possibly game-changing for the sport, we can’t forget that the beloved British champion has a tough task ahead of him, as we are now less than four weeks away from Joshua’s matchup with WBO heavyweight champion Joseph Parker, set for the Principality Stadium in Cardiff, Wales. 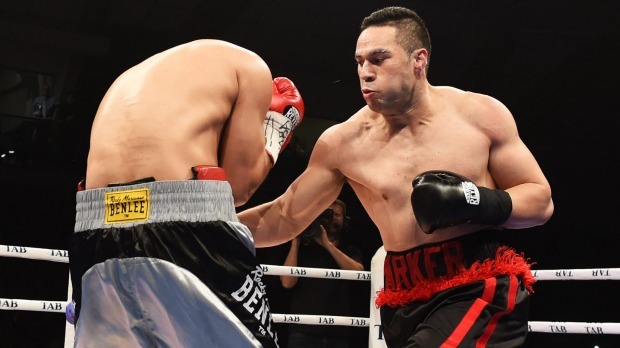 Parker has taken things very seriously for this contest, as he is tucked away in Las Vegas with trainer Kevin Barry, as they ardently push ahead. A fellow boxing insider was with Parker during his early weeks in camp and advised me of his progress ahead of the Joshua fight. Parker has stopped 18 of his 24 opponents during his undefeated run as a fighter, compared to Joshua’s equally impressive 20-0 (20 KO’s) ledger. Parker has definitely been receiving a lot of media requests ahead of this fight, as his camp has intensified. Sky News from the UK, the host broadcaster for the upcoming fight, spent the better part of a week with Parker recently, and were able to get a gauge on his preparations. Kevin Barry insists that it’s business as usual, however. Days are filled with media coverage, a sure change from Parker’s early career run. At the end of the day, Barry wants his fighter to focus on his performance inside of the ring. “Joe is working hard on making sure he’s the best fighter he can be, he’s not trying to be the best student at answering media questions in front of a camera,” Barry said. “It’s part of the job, he has embraced it and developed his media skills in the last five years where it is not so mentally draining on him as it once was,” Barry added. Parker is surely on cloud nine and he and his team are embracing step moving forward.